Here’s what’s happening in the world of television for Sunday, April 14. All times are Eastern. Game Of Thrones (HBO, 9 p.m., eighth season premiere): As you may be aware, the little HBO series that could returns to TV land tonight. We know almost nothing about what will happen, but we have some potentially lucrative thoughts about what might. Maybe there’ll be an Ice Dragon fight. Maybe it’s time for CleganeBowl. Hell, maybe it’s Lady Stoneheart time! (It’s not.) 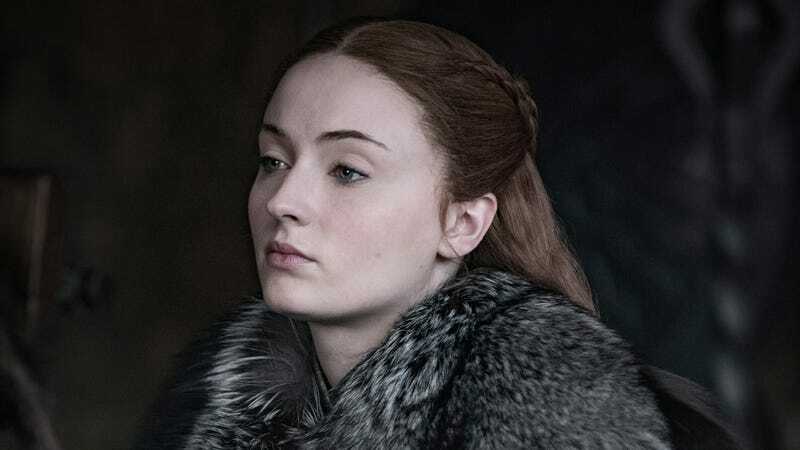 But here’s one thing we know for sure: Sansa Stark is a goddamn treasure. The North Remembers, and so do we, Sansa. While you wait for Thrones to arrive, stroll down memory lane with our Month Of Thrones, a collection of some of the most important moments in GoT history. Among them: a motherfucking ice dragon, “shame, shame, shame,” and of course, the Stark sisters serving justice. Myles McNutt’s back on expert review duty, and tonight, Alex McLevy begins his watch for newbies. It’s the final Game Of Thrones premiere. Let’s goooooo. Call The Midwife (PBS, 8 p.m.): And now for something completely different. If you’re generally anti-dragon, perhaps it’s time to mosey over to Call The Midwife, where the day-to-day happenings are less “Tell Cersei it was me” and more “Tell Sister Julienne we don’t have enough biscuits for the fête.” In this week’s episode, viewers will “Share in the team’s preparations for the Whitsun bank holiday” as “Valerie helps a struggling mother.” Not an exploding Sept or a gruesome wedding in sight.